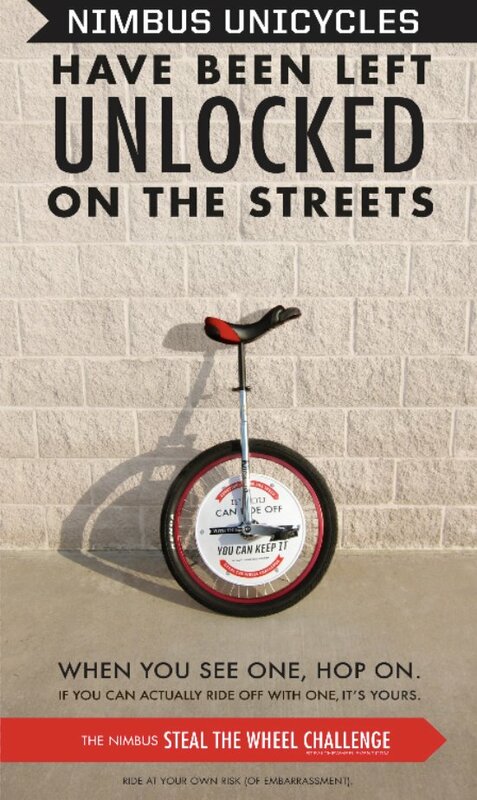 To counter the perception of unicycling as a non-sport, this integrated campaign invited people to take a spin on Nimbus unicycles that were randomly left on city sidewalks. The reward for the few who were actually able to ride off with it? They got to keep them.